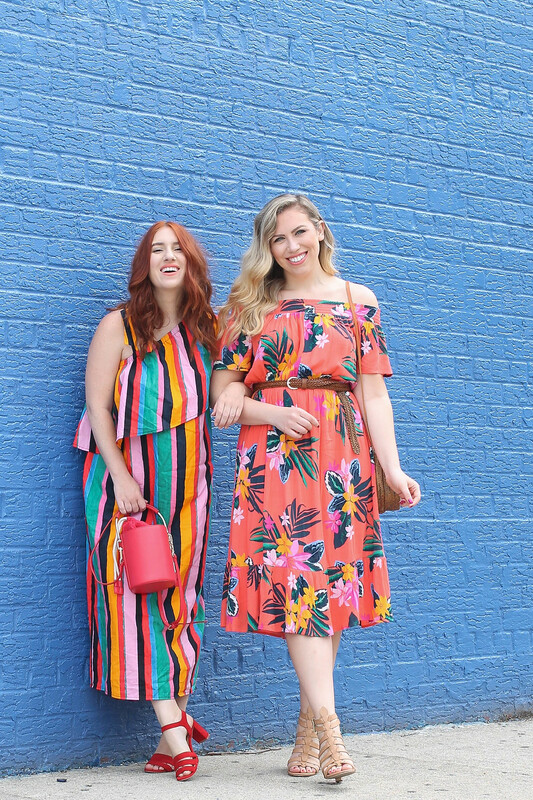 I know in our last post we were talking about how every girl needs the perfect little white dress, BUT they also need the perfect colorful dress for Summer too! 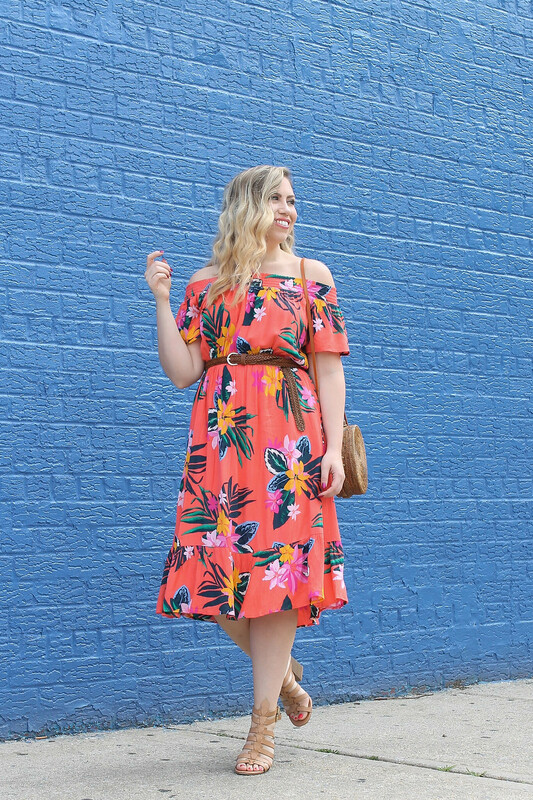 I’m all for spending a little more on a quality white dress that will last you for a few years, but when it comes to trendy, printed, colorful dresses that you’ll wear a ton this season, but may never wear again, I’m ALL about finding something inexpensive! 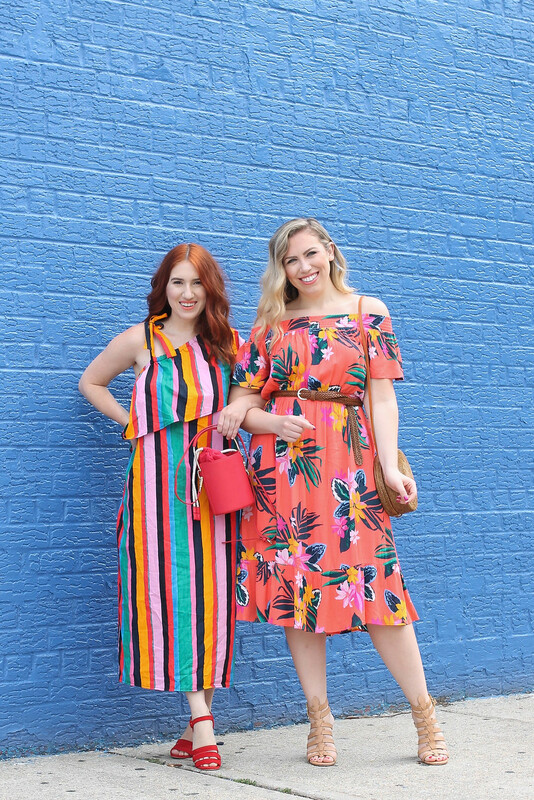 Megan and I pulled out all the stops for today’s post and picked out our favorite, super colorful new purchases to share with you guys! They are super trendy, super bright and SUPER inexpensive at under $40 each. I mean who doesn’t love summer dresses under $40? 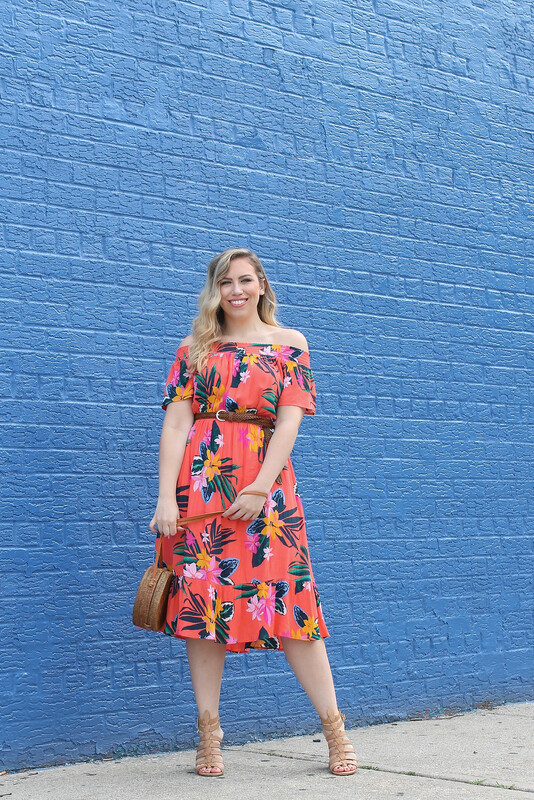 I picked up this floral off the shoulder dress from Old Navy about 6 weeks ago and I’m pretty confident that I’ve already worn it about 5 or 6 times! I’ve dressed it down (see here) and dressed it up like I did here with a belt and chunky sandals. And considering I got it on sale and paid about $30 for it I consider that a win! If it doesn’t make it til next summer I can confidently say I got my moneys worth, don’t you think? Megan’s fun striped dress is of course from Target’s Who What Wear line (one of our FAVORITES). The colors are so fun and at under $35, it’s the perfect addition to your Summer wardrobe! 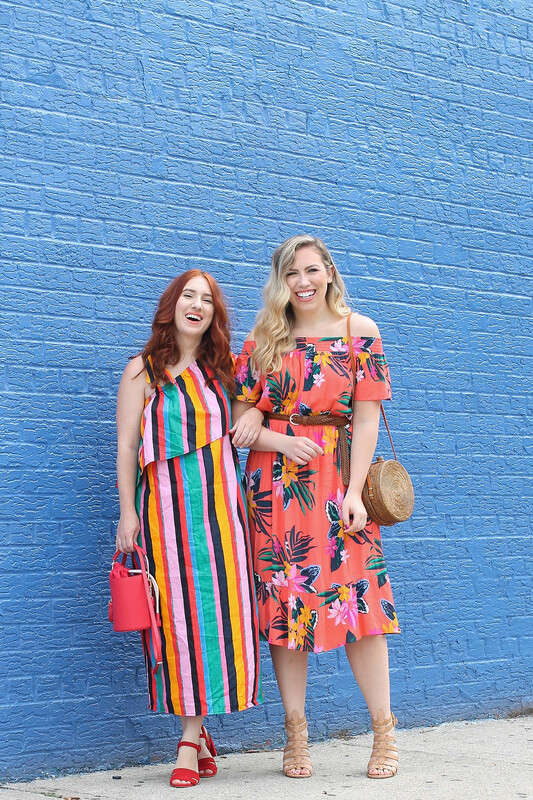 And just in case these two dresses aren’t your style I’ve rounded up my 20 favorite colorful summer dresses under $40 for you to shop! Looking for more inspiration…check out our Vacation Ready, Palm Beach & LWD Looks! And make sure to head over to Megan’s blog to see more photos of her outfit! Love the bold stripes and floral print!